A fatty diet may boost the risk of a relapse in kids with multiple sclerosis (MS) by as much as 56 per cent, with saturated fat associated with a tripling in risk, suggests research published online in the Journal of Neurology Neurosurgery & Psychiatry. On the other hand, high vegetable intake may halve the risk of relapse, the findings indicate. Several genetic and environmental factors, including previous infection with Epstein Barr virus, exposure to cigarette smoke, and low vitamin D levels have all been associated with a heightened risk of MS.But what role, if any, diet may have, has largely been unexplored. Children with MS, however, have a higher relapse rate than adults with the disease so the researchers decided to analyse the potential impact of diet in this age group. They analysed the diets of 219 kids/young people from 11 children’s MS centres across the USA. 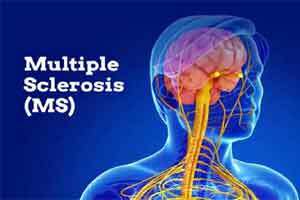 Each of them had been diagnosed before the age of 18 and had had the relapsing-remitting form of MS or clinically isolated syndrome, which describes the first episode of neurological symptoms associated with the disease, for under four years. Each child/young person completed a validated questionnaire (Block Kids Food Screener) on the quantity and frequency of specific foods and drinks they had consumed over a period of one week, and their neurological health was tracked until the next relapse occurred. On average, they were monitored for just under two years, during which time 93 of them (42.5%) relapsed. Analysis of the questionnaire data showed that every 10 percent increase in calorie intake derived from fat was associated with a 56 percent heightened risk of a relapse, much of which seemed to be driven by saturated fat intake: every 10 percent increase in calories from this source was associated with a tripling in the risk of a relapse. On the other hand, each additional cup of vegetables eaten was associated with a halving in risk of relapse, independent of fat consumption. The findings held true, even after vitamin D levels and other potentially influential factors, such as age, gender, race, ethnicity, duration of disease, weight (BMI) and drug treatment had been taken into account.Other nutrients, such as sugar, iron, fruit and fibre, were not associated with relapse risk, the findings showed. The researchers explain that a high-fat diet boosts cell metabolism, including the release of inflammatory chemicals, as well as influencing the gut microbiome and associated immunity. And animal fat is often linked to a high-calorie intake—itself a factor implicated in various long-term inflammatory conditions. A diet rich in vegetables has the opposite effect, they point out.This is an observational study so no firm conclusions can be drawn about cause and effect, added to which the questionnaire captured dietary habits for one week only and it didn’t include alcohol or coffee, which may have boosted calorie intake among the 18-19 year olds. Nevertheless, the findings provide some preliminary evidence for making dietary recommendations for patients with MS, suggest the researchers.In a linked editorial, Dr Kathryn Fitzgerald of John Hopkins School of Medicine, Baltimore, emphasises the caveats for an observational study of this kind which relies on food frequency questionnaires that are not fully able to describe different types of fat.